Another mandala from the facebook newsfeed and the notion of “steal like an artist”, made from two photos — one of the Trinity College library in Dublin and the other a handrawn street map of Amsterdam — and I am still walking around the inside paths of my home doing laundry and other chores and doodling on photoshop. I travel the world without going out the door. 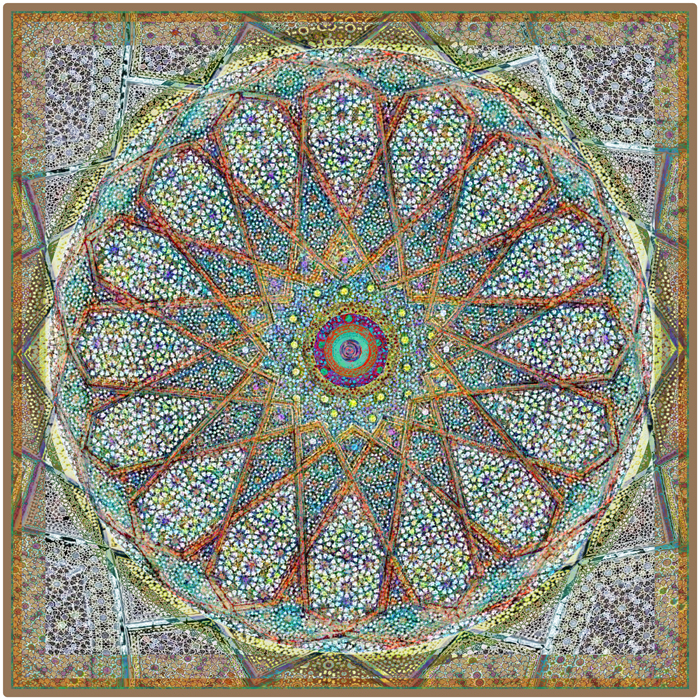 This entry was posted on August 19, 2018 by Elsah in Mandalas.